Oh, what a little paint can do. That’s putting it mildly, of course — the formerly dilapidated East Hampton home that inspired a documentary, film, and stage musical is virtually unrecognizable in newly released photos. The asking price? A cool $19.995 million. Apparently very, very rich people are swayed by the same sales tactic that gets you to spend $4.99 on toothpaste, but not $5. 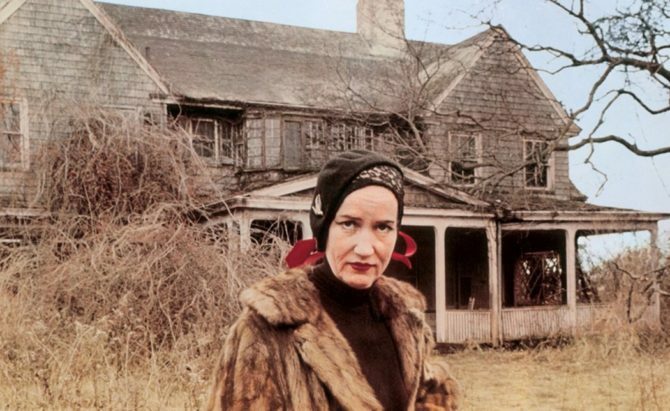 Grey Gardens will forever be remembered as the home of Edith Bouvier Beale and her daughter, “Little Edie” Ewing Beale. The world’s oddest mother-daughter act were stars of an iconic documentary (Grey Gardens, 1975) that catapulted them into cult stardom. The Beales came from high society — cousin and aunt to Jacqueline Kennedy Onassis — but by the time directors Albert and David Maysles Brothers began filming Grey Gardens, the once-regal manor was a nightmare—littered with cats, raccoons, old newspapers, rotting food and other unpleasantries. “All it needs is a coat of paint!” insisted Little Edie in 1979, when she sold the home for $222,000 to husband-and-wife journalists Ben Bradlee and Sally Quinn. She made them promise they wouldn’t tear it down. Any chance for a link showing the house in its current condition that doesn’t require a login or subscription? Wow….they did an amazing job restoring the home and keeping it in that classic shingle style home popular in the Hamptons. I love the interior too. Refined, classic, traditional. The Bradleys did a great job. The gardens are truly amazing. They managed, IMHO, to make the house comfortable and beach-like, but still keep the beauty of what was there. It did take more than a bit of paint, but I’d live there now. WOW! I can’t believe that’s the same house and the same property. Whoever managed that project did really well.